The best dumpster rental service in Washington DC, Maryland, and Virginia. We offer construction and demolition debris removal service for commercial, industrial, government, and residential job sites. We take pride in making the process simple for our clients by providing superior service. Do you need laborers or do you lack space and time for a dumpster? No problem, we will send our 22 yard dump truck service with a crew of 3 helpers to remove your bulk debris, in and out in 2 hours or less. Selective Hauling, LLC maintains a substantial fleet of roll-off dumpster trucks and open containers ready to help you organize and maintain a clean and effective job site in Washington, D.C., Maryland and Virginia. We offer the best dumpster rental service in Washington, D.C., Virginia, and Maryland. Our competitive prices ensure superior value, because no detail is too small and we work hard to exceed your expectations. We are in the business to serve our clients – that means you can always depend on us to be punctual, meticulous, and to do the job right, every time. That’s the Selective way. We offer a variety of dump truck services and dumpster rentals at competitive prices. At Selective Hauling, our first priority is always safety. 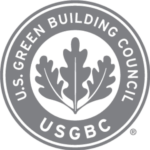 Selective Hauling is extremely accomplished working with recycling and LEED projects.